First look of supernatural thriller ‘Raaz Reboot’, the next in the successful Raaz franchise, is unveiled today on social media. Raaz Reboot will see Emraan Hashmi, along with Gaurav Arora and Kriti Kharbanda. 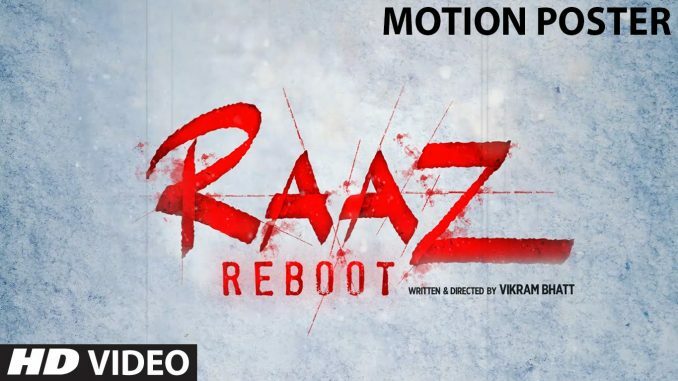 Gulshan Kumar and Vishesh films present ‘RAAZ Reboot’ in association with Mahesh Bhatt, Mukesh Bhatt and Bhushan Kumar. Written and Directed by Vikram Bhatt. Producer Mukesh Bhatt, Producer Bhushan Kumar and Krishan Kumar, co-producer Vishesh Bhatt. Exc Producer: Kumkum Saigal and Associate Producer Ajay Kapoor and Sakshi Bhatt. Alia’s First look from Ikk Kudi!